DAVID LE/Staff photo. 5/12/15. 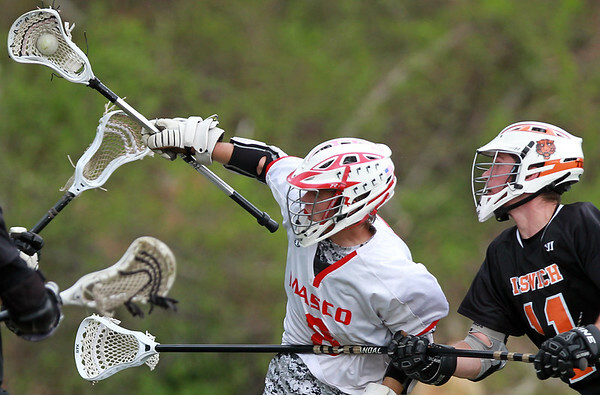 Masco senior Harris Moody (8) tries to shield the ball away from Ipswich sophomore defense Tyler Starr (11).